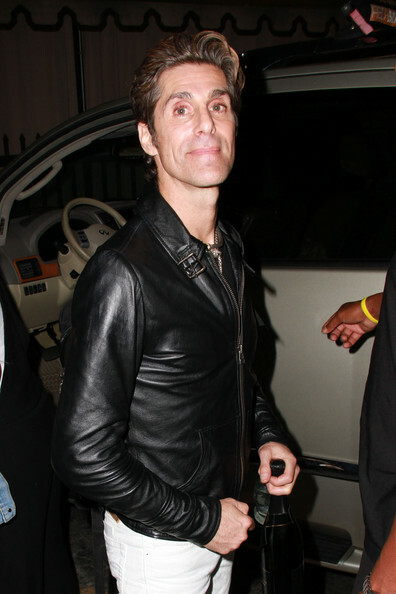 Perry Farrell and his wife Etty leave Bardot lounge following the Jane's Addiction Cinco de Mayo concert. Only the first 100 fans in the line gained access to the exclusive gig. Cinco de Mayo is a holiday held on May 5 that commemorates the Mexican army's unlikely victory over French forces at the Battle of Puebla on May 5, 1862. Black, fitted, leather. The three words you want to describe your motorcycle jacket, rock star or not.